Flying LA to San Diego, Rome to Milan, or similar short hops on a regular basis? Based in NYC, and building a plant outside Harrisburg, requiring daily site visits? Or do you own several properties in one region, and want to keep a regular close watch on them all? A turboprop may be your most convenient and most economically feasible travel option, whether as your only aircraft, or to complement your current business jet flight operations. 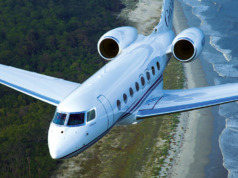 Although some perceive the turboprop as the “kid brother” to the larger cabin-class business jet aircraft, today’s turboprop aircraft are just as comfortable, safe, quiet, and technologically sophisticated as a jet, whether single-engine aircraft like the Pilatus PC-12, Piper Meridian, or Daher TBM; or twin-engine like the Beechcraft King Air, Nextant G90XT, or Piaggio Avanti EVO. 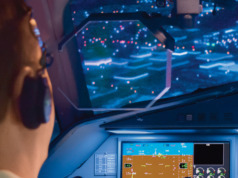 They come equipped with the very latest advances in avionics, communications, and navigational equipment. Characteristically, both twin- and single-engine turboprops offer performance traits that make these aircraft the ideal form of air transportation for many business aviation users. Although a turboprop’s range can be greater than 2,300 miles, turboprop aircraft are best suited for trips where the average flight segment length is 575 miles or fewer. In fact, the average time required for a turboprop to complete this type of trip is within minutes of that of a business jet. Additionally, and perhaps of more importance, a turboprop’s intrinsic ability to land and take off from shorter runways enables the use of many more airports – often much closer and more convenient to your destination – than a jet can access. This may provide a significant reduction in your overall travel time. If your destination is a remote job site, or a client in a rural area, a turboprop may be your best option to avoid lengthy ground transport to your final destination. Properly equipped turboprops regularly land on grass strips and unprepared surfaces. For those truly isolated destinations, turboprop aircraft such as a Cessna Caravan or a Quest Kodiak routinely land and take off from very short grass strips of 1,200 feet or less. These durable utility airplanes also can be outfitted with floats, turning any open water, lake, or waterway into a landing strip. Many owners justifiably think of their turboprop as an SUV that flies. Depending upon the type or model of turboprop flown, the aircraft is capable of carrying all the baggage and equipment – more than 1,000 pounds is common – required for your travel. As an added convenience, many models of aircraft can be equipped with a cargo door ideal for loading bulky items. This feature has become so popular it is standard on some aircraft models. Compared with business jet aircraft, turboprops offer significantly lower direct operating costs and upkeep: those costs incurred while the aircraft is flying, such as fuel burn, fuel additives, lubricants, maintenance parts and labor, major periodic maintenance, landing and parking fees, crew expenses, and reserves for engine, propeller, and APU overhaul. A twin-engine turboprop usually can save more than $150 per flight hour on fuel alone at today’s prices versus comparable light- to mid-size business jet aircraft. 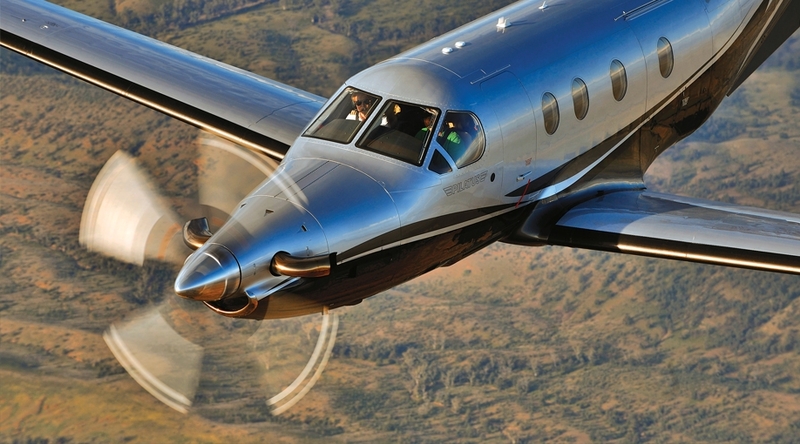 Not surprisingly, single-engine turboprops are even more economical. 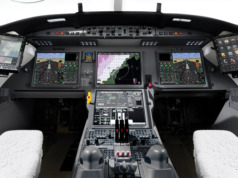 Virtually every turboprop flying today is certified for single-pilot operation, offering the potential of further cost savings over larger business jet aircraft that may require a two-pilot flight crew. Finally, the acquisition cost of a turboprop can be substantially less than a business jet aircraft of comparable cabin size. In terms of cabin amenities, in recent years turboprop manufacturers have upgraded cabin comfort without sacrificing the flexibility, capability, and utility inherent in the aircraft. Ergonomic seating, high quality fabrics and leathers, carpeting, noise dampening technologies, state-of-the-art cabin climate control, cabin power outlets, advanced communications technologies such as Wi-Fi and wireless in-flight phones, and private lavatories all are features now found on turboprop aircraft. The result is that passengers can travel in comfort and arrive at the destination feeling energized with little or no travel-related fatigue. Since turboprops are “working” aircraft that are purpose-built to perform a variety of missions, they benefit from their rugged construction and extremely dependable engines. This innate reliability contributes to the lower operating costs, extremely high mission readiness (flights are very rarely cancelled due to aircraft malfunctions), and overall aircraft safety. In addition to business and general aviation applications, turboprops are used by government agencies and military forces worldwide. They are selected for their stable platform and their durability and flexibility. The C-12 (the U.S. military version of the Beechcraft King Air) has the highest dispatch reliability of any aircraft in the U.S. military inventory. The two engine manufacturers most often represented on turboprop aircraft are Pratt & Whitney Canada (P&WC) and General Electric (GE). P&WC’s PT6 engine is one of the most popular – more than 55,000 have been built – and reliable turbine aircraft engines, and is renowned for its unparalleled dependability, powering some of the industry’s most cost effective charter and fractional aircraft. P&WC recently introduced two new models of PT6 engines, including the PT6A-140A, which further increases engine power and efficiency with 15% more power and 5% lower fuel consumption. GE also has invested in the development of a new Advanced Turboprop engine (ATP), currently scheduled to have its first run in 2018. The ATP has been selected by Textron Aviation as the engine to power its new single-engine turboprop, currently under development. GE is promising that the new ATP power plants will achieve up to 20% lower fuel burn and 10% higher cruise power compared to competitor offerings. You want a safe, efficient, cost-effective way to transport you, your employees, or your customers. If these conditions apply to your travel, consider the many benefits a turboprop can offer. Keith Nadolski, President, M² Performance Group, formerly held senior sales/general management positions with Beechcraft, Raytheon, and Gulfstream.